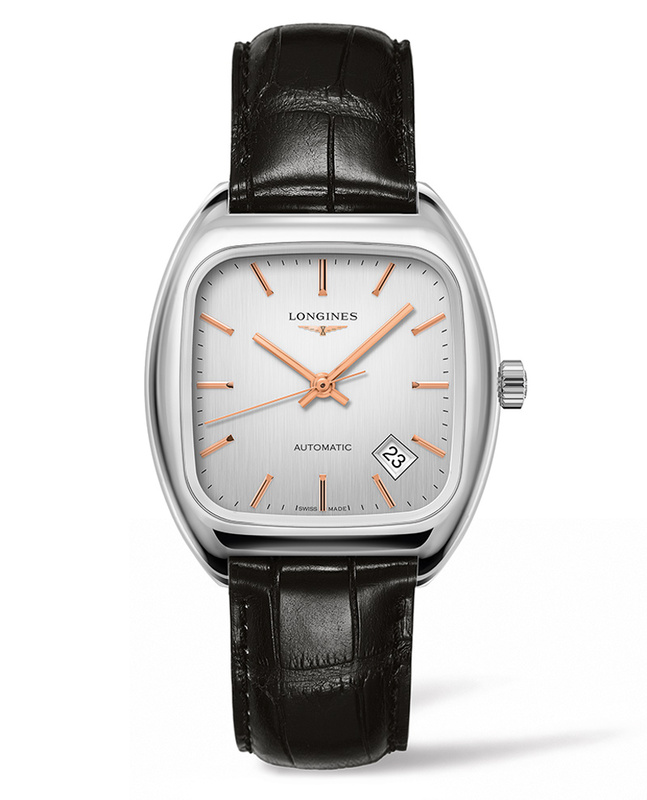 For a brand with a long and glorious history like Longines, it is normal to seek inspiration in successful timepieces of the past. A tribute to its long watchmaking tradition, the Heritage line is now enriched by a new reissue which draws its inspiration from a wristwatch created in the late 1960s. 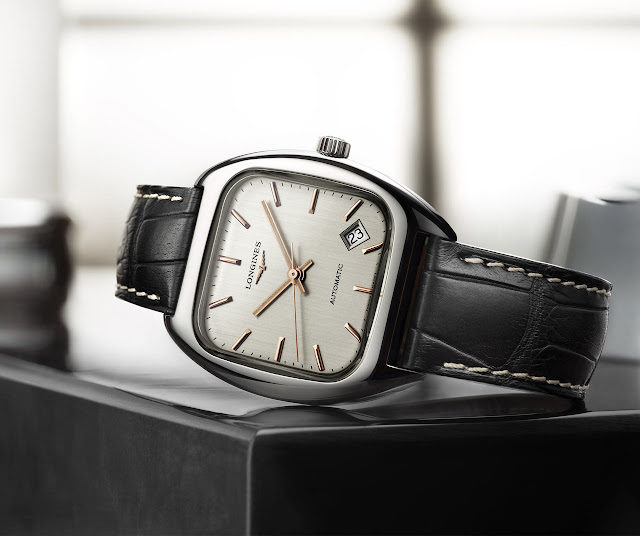 With its cushion-shaped case and box-form crystal, the Longines Heritage 1969 is very much in line with the essence of the original model which is displayed at the Longines Museum in Saint-Imier. For this reissue, Longines opted for a steel case with an elegant 36 x 36 mm size suitable for the wrists of both men and women. Water resistance is 30 metres / 100 feet. The brushed silvery dial is completed by rose-coloured hands and indexes which contribute to the distinctiveness of the watch. As it was on the original model, the date aperture is positioned at 4:30. The Heritage 1969 is powered by the L888.2 self-winding movement (base ETA A31.L01) beating at 25,200 vibrations per hour and offering 64 hours of power reserve. Longines continues to provide an oasis of value for money in the desert of Swiss mechanical watch brands. Bravo! The best one is for sure the third version. Well done! But is the date window really needed? I think the symmetric #3 would be my favorite, too (although the date on #2 would be easier to read due to the larger numerals; a date at 6 o'clock would need to be somewhat narrower - unless one would go to the same lengths as Nomos does with their great date windows). But you're right, the watch doesn't really need a date to look good. But watches without a date must sell poorly or manufacturers wouldn't try to fit one onto every dial. As long as it's flawlessly executed, I'm mainly fine with that, but too often, it's not. 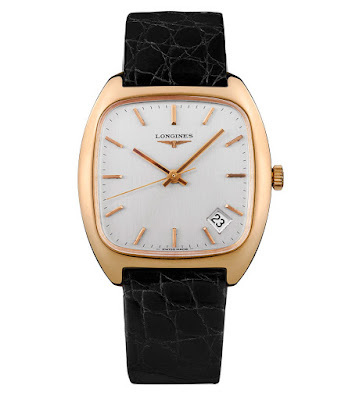 Longines Heritage 1969 . 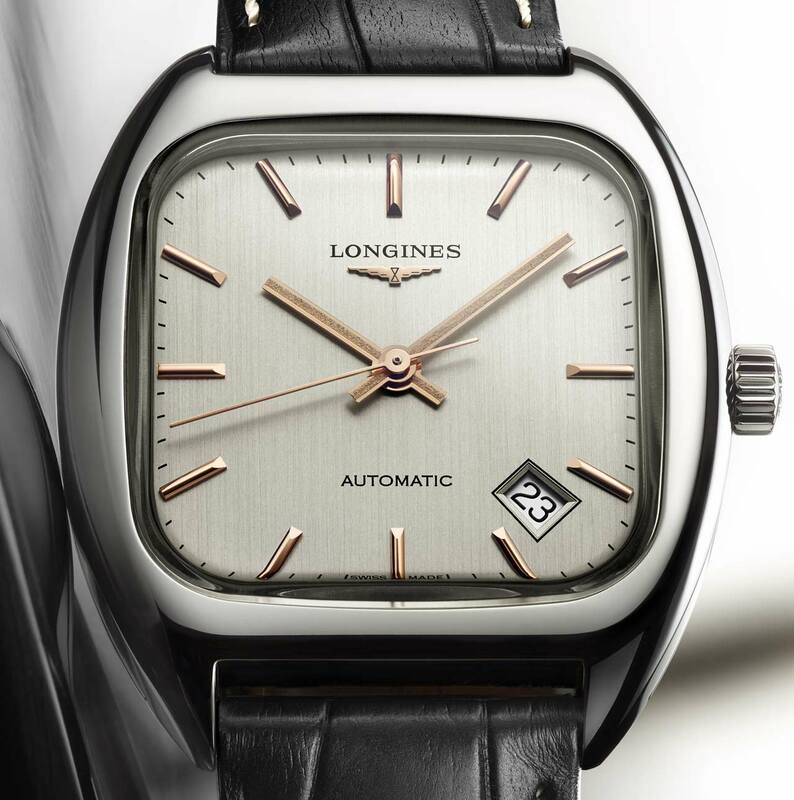 With its cushion-shaped case and box-form crystal, the Longines Heritage 1969 is very much in line with the essence of the original model which is displayed at the Longines Museum in Saint-Imier. 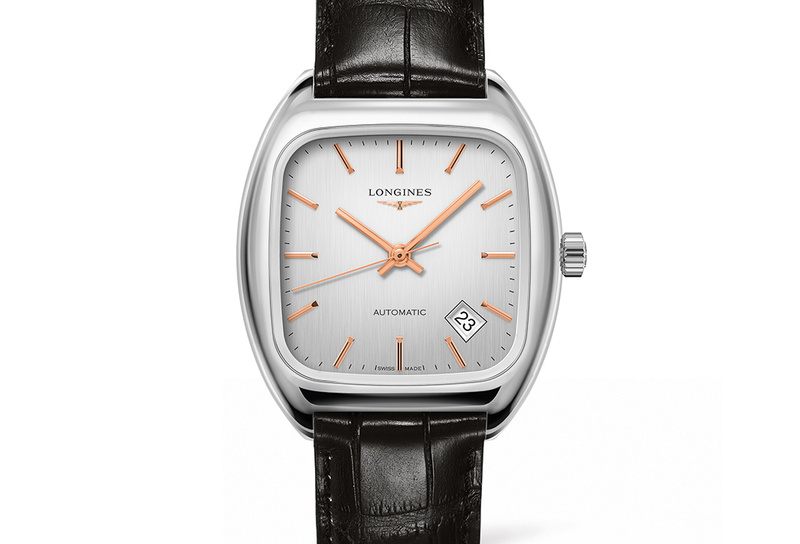 The Longines Heritage 1969 (ref. L2.310.4.72.0/3) has a retail price of Euro 1,720 / US$ 2,050.